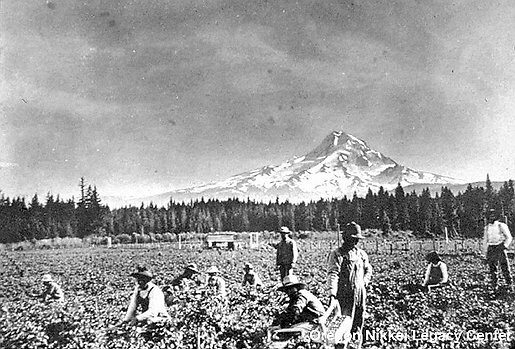 Many Nikkei families still farm in the Hood River area, but the dynamics have changed. Children choose other lines of work. People work at professional jobs and keep the farm operations going, not relying solely on income from their crops. Families have diversified with changing times. Organic produce is being grown. Fruit is sold at farmers markets. More varieties of fruit are being grown. Fruit trees are being planted closer together to raise yields, especially important on farms smaller than 100 acres. Hood River is still a scenic and beautiful area. But global economics, changing values, and new priorities make it harder for family farms to continue, in Hood River as elsewhere. The Issei legacy is one of honor, courage and dedication that will continue to be in the hearts of the Hood River community. As life moves forward, family roots still run deep.